Flanagan Motors Mazda is your local Mazda dealership in Missoula, MT for great deals on an amazing selection of pre-owned and new Mazda vehicles. Our Mazda dealership near Helena, MT is where you can find the latest exciting Mazda vehicles that are perfect for driving throughout western Montana. Visit our Mazda dealership to experience our Mazda vehicles in person and to set up a test drive. There are many things that make the areas surrounding Missoula, MT unique. Nestled neatly within driving distance of two iconic national parks, and with plenty of outdoor exploration right in our backyard, Missoula is a great place to be for recreation. Having a vehicle with all-wheel drive for off-road capability and plenty of cargo space will be valuable in getting you to your inspiring destinations. Being that we can expect roughly three feet of snowfall each year here in Missoula, that all-wheel drive capability will also come in handy for everyday driving during the winter months. The abundance of backcountry roads also makes nimble handling and reliable traction important elements to have in a vehicle. Montana is a large state with a relatively low population, meaning your driving distances to desired places may be longer than in other regions, making fuel efficiency especially valuable. Our Mazda vehicles at our dealership near Helena, MT are equipped with amazing features that make for a great driving experience here in western Montana. All-wheel drive is available on our lineup of SUVs to empower you on the toughest of road conditions. Mazda’s proprietary SKYACTIV® TECHNOLOGY is standard on new Mazda vehicles, resulting in brilliant performance and exceptional fuel economy. While it is hard to go wrong with a new Mazda vehicle, there are a couple standouts that practically seem like they were made for Missoula. The 2019 Mazda CX-3 combines a fuel efficiency rating that rivals some compact sedans while offering the off-road capability that comes with all-wheel drive. 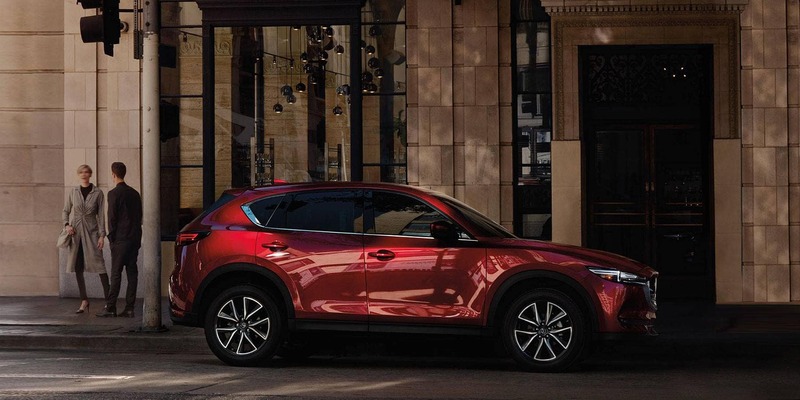 SKYACTIV® TECHNOLOGY and the compact frame of this subcompact crossover SUV allow the Mazda CX-3 to achieve impressive MPG ratings the highway. The 2018 Mazda CX-5 is a crossover SUV that offers spacious seating for five and plenty of room for cargo for any adventure. The available all-wheel drivetrain helps get you further while the incredible fuel efficiency rating requires fewer trips to the gas pump. At our Missoula Mazda dealership, located at 1776 Stephens Ave, we are dedicated to offering excellent customer service to everyone that steps onto our lot. Visit or contact our Mazda dealership today.